The role of an interpreter is to provide communication between people and help open their world to new ideas, concepts, and cultures. Here are four linguists that made a significant impact on the development of the world as we know it today. This Patuxet Native American tribe member played an integral part in the success of the early 17th-century pilgrims in New England. During his short life, he was kidnapped several times, which resulted in his travels around Europe, Newfoundland and the east coast of the US. Landing in London in 1605, he was taught English as a means to assist English settlers in the New World. The English returned him to America, where he was kidnapped again in 1614. This time he was sent as a slave to Spain. Spanish friars rescued him from slavery and he eventually made his way back to England. After finally returning again to the New World in 1618, Squanto helped the Pilgrims to farm their land. As an interpreter, he facilitated trade between the Pilgrims and other tribes in the area. The Pilgrims highly regarded his efforts and, when he was kidnapped once again by the Wampanoag Tribe, American Myles Standish sent out a rescue party to bring him back. Squanto remains a central figure in the American celebration of Thanksgiving. These two Jesuit missionaries were instrumental in the first treaty ever signed by China with Russia – the 1689 Treaty of Nerchinsk. By the 17th century, Jesuit missionaries had become a crucial link between the West and the Qing Dynasty. International trade had been established, and the seas off China’s mainland were heavily traveled by Dutch, French and Portuguese merchants. The cultural clash was made more complicated by Russian Cossacks coming down from the north for furs and grain. They were subjugating the Siberian natives, who were, at that time, tributaries to the Qing family. Using the common language between the Chinese and Russians – Latin – the Friars were able to communicate effectively the ideas and agreements between the two nations. The resulting treaty established a border between the two countries, and the Friars earned the trust of the Chinese Emperor Songgotu. As a consequence, the Emperor allowed a land route across China for the Jesuits and issued a 1692 decree that granted tolerance for Christians in China. A Paiute Native American tribe member, “Thocmetony” was introduced to the Spanish and English languages while working with American families in California. 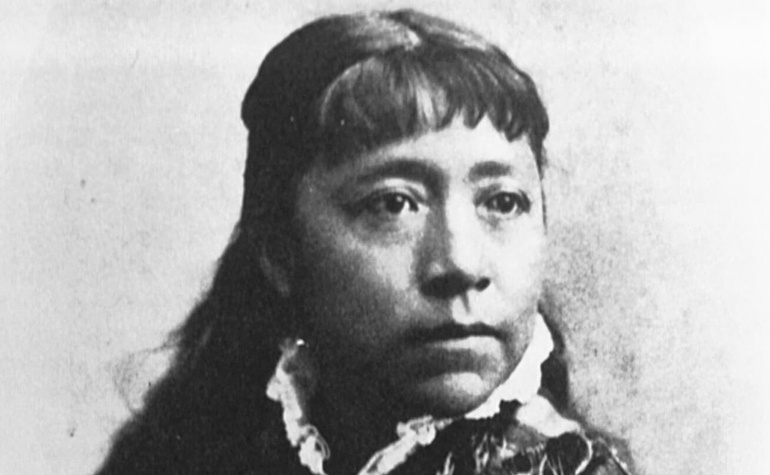 Her grandfather – a Paiute Chief – believed in peaceful coexistence between whites and Natives and “Sarah” became an interpreter for her tribe in discussions with the US Army and government. She also became a tireless advocate for the rights of the Paiute Tribe to its own homeland and preservation of its culture. To garner support, she toured the country giving lectures and presentations on the nuances and grace of her native community. While she wasn’t entirely successful in the effort, she did manage to preserve the history and culture of the Paiute in her book, Life Among the Paiutes. She also established a school for Native American children. Communication requires accurate transmission of ideas, feelings and thoughts from one person to another. These adventurous and sensitive souls used their language skills to connect disparate cultures to one another, establishing trust and camaraderie between former strangers. These days, the work of interpreters is no less significant, as they bridge language and cultural divides between people, cultures and nations. Click below to learn how quality language services from US interpreters may boost the performance of your healthcare organization.